Off type of "Holy Land", appeared in the garden of Craig LeHouillier. 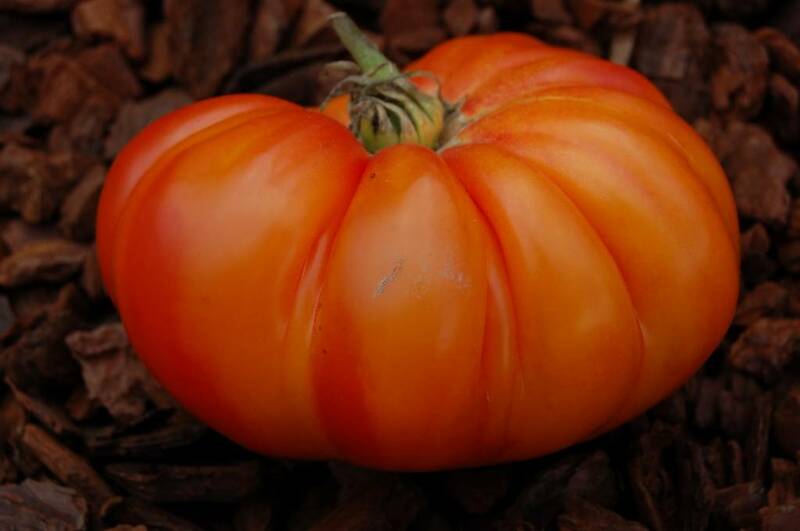 Beefsteak type fruits from 250 to 400 grams, flattened poles with bouncy shoulders more or less deeply ribbed. 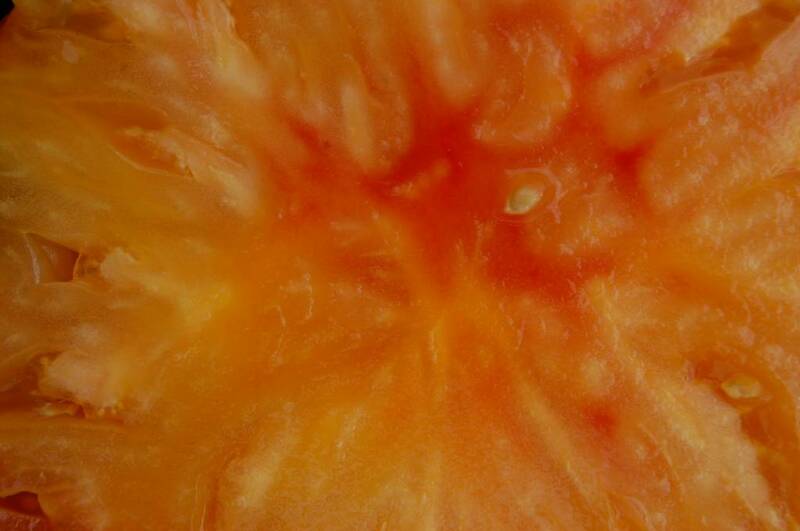 Two-tone yellow-orange epidermis marbled with red when ripe. 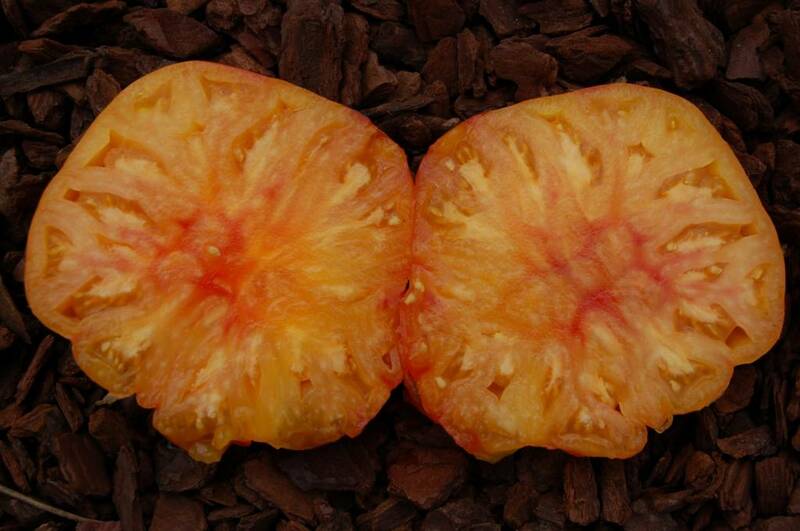 Yellow beefsteak flesh marbled with pinkish red. Very juicy and fleshy. Excellent flavor, the level of the best bi-colors. Production in the second half of the season.